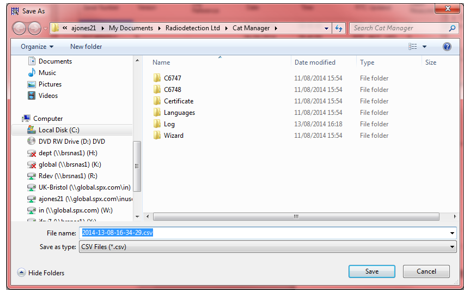 Each time the trigger is pressed on a C.A.T4, a “session” log is created on the unit which can be uploaded via C.A.T Manager and stored on a PC. 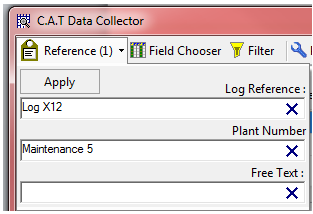 The C.A.T Manager Data Collector collates all session logs together for all C.A.Ts from which data has been transferred to a PC, and can be used to provide detailed usage analysis of one or all C.A.Ts, and to select specific parameters (‘fields’) for customised analysis in any order of your choosing. The collated data can be filtered and stored in a single file ready for analysis in a spreadsheet application or Google Earth (gC.A.T4 only). The log reference field can be edited, but will automatically store the date and session ID. The following commands are available for the C.A.T Manager Data Collector. By default, the Log Reference field will contain the date and session ID of the survey. 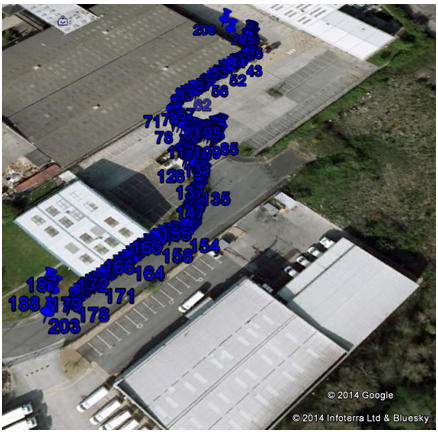 For example, the locator below was first activated at 09:50:17 and becomes 23/09/2014 #1. It was then powered up on the same day at 09:54:56 and this becomes 23/09/2014 #2. To change the log reference field, for example to highlight a particular survey with a reference ID, select the row(s) with the mouse and click reference. From here you will also be able to edit the Plant Number and Free Text fields. 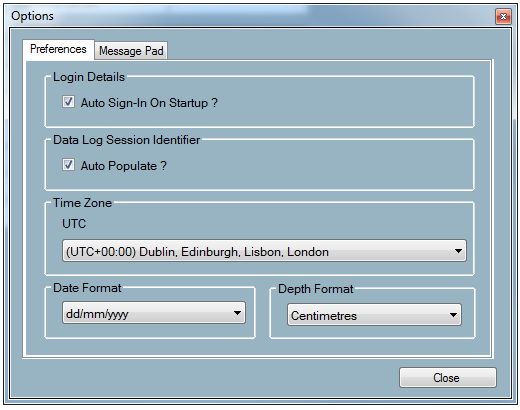 Select the format required for Time Zone, Date format and Depth format. Selects which columns of data are displayed and which order they are displayed in. 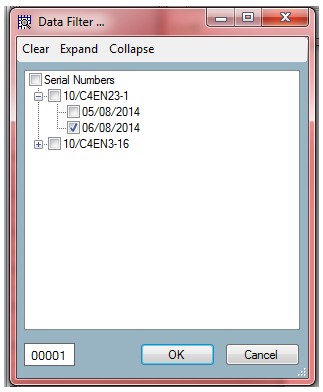 Note: Once a selection and order is set-up, it is retained, and does not need to be re-created each time that Data Collector is run. KML is a type of file used to map geographic information within 2D and 3D maps, initially developed for use with Google Earth. Only gC.A.T4 have this functionality. 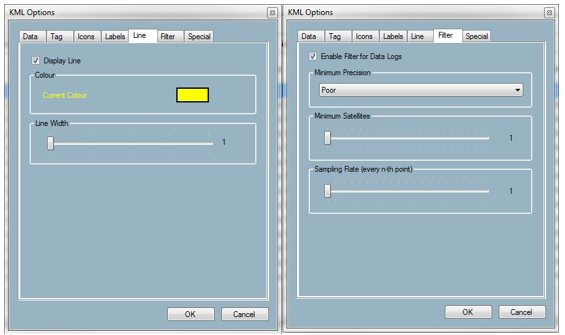 KML Options provides the ability to select what datalog information is exported to the Map and how it is presented. Data tab – Uncheck a box if the user does not need this information to be presented on Google Earth pin points. Tag tab Change the tag between Plain text and HTML, with HTML colour selections. Icons tab Change the appearance of the geotag icons. Labels tab Change the appearance of geotag labels. Line tab Change the appearance of the line following the operators GPS path. 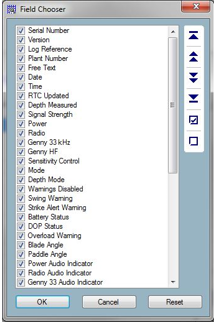 Filter tab Set minimum standards for GPS satellite signal integrity and sampling requirements. The Special tab allows the user to highlight important events, such as crucial depth and Strike Alert warning locations. 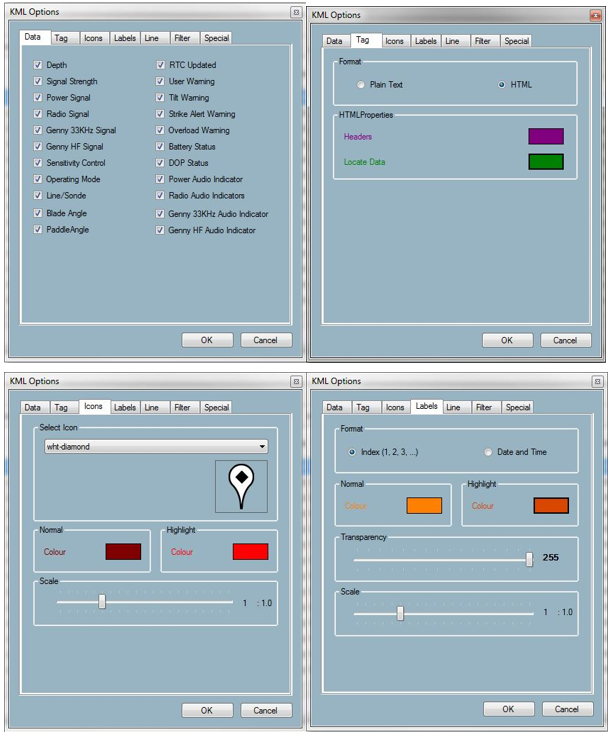 Allowing the user to distinguish between general locate information and areas of interest. 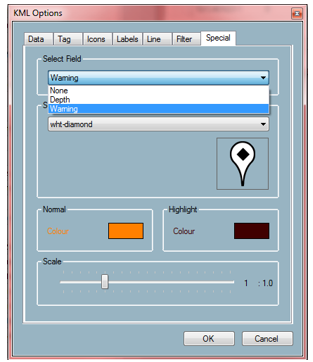 Select ‘None’, ‘Depth’ or ‘Warning’ to activate the geo tags on maps. Exports the displayed data to a .CSV (comma separated values), .XLS or .XLSX(Microsoft Excel) file, and displays the exported file in the user’s spread sheet application (commonly Microsoft Excel). Press Save to save the file in a suitable folder. If GPS data is available, the option to export to KML will be available. If no GPS information is available it will grey out and it will not be possible to export to KML (Google Earth data file). To view KML files it is necessary to install Google Earth. Visit https://www.google.com/earth/ for download information, system requirements and operator instructions. The use of the special tab in KML options may assist in removing clutter on the above image, in some scenarios it may be more useful to view strike alert warnings and depth readings only to see potential utilities rather than a usage log of all activity.